Central Florida – On Wednesday, Jan. 24, Homeless Services Network (HSN), in partnership with Central Florida’s homeless providers and 140 trained volunteers, conducted the 2018 Point in Time Count (PIT) across Orange, Osceola and Seminole counties. The PIT count is an annual snapshot that takes place across the nation to estimate the number of people in a community who meet the federal definition of homeless, as defined by the U.S. Department of Housing and Urban Development (HUD). The effort takes place in Central Florida every January. 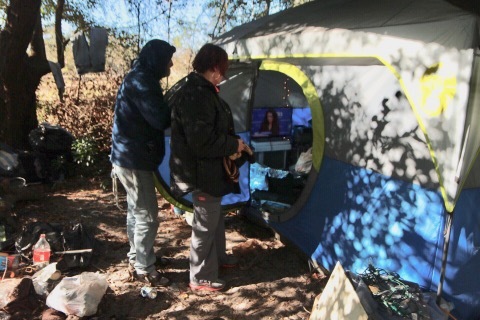 Homeless providers, outreach workers, nonprofits and volunteers take to the streets, shelters, woods and other locations where individuals who are homeless are known to congregate. The 2018 count began in the early morning hours of Jan. 24 and lasted into the evening. In addition to local organizations, the U.S. Department of Veterans Administration also participated. Representatives were available to screen and serve any homeless veterans encountered by volunteers. In addition to capturing the number of homeless, outreach workers collected valuable information that will help them determine a person’s status within the Homeless Management Information System (HMIS). Individuals not already in the system, will be entered into HMIS, giving providers an opportunity to initiate the first step in the process of help. *Image taken earlier in month during outreach efforts. HMIS is a critical tool for organizations. The system tracks the progress and steps to ending an experience of homelessness. It provides insight to the services that have been offered and minimizes the duplication of assistance from multiple organizations that might help. The PIT is a federal requirement for communities receiving federal funds from the HEARTH Act Continuum of Care program. Federal funding is key for communities. Just last week, HSN announced the award of $7.5 million to the Central Florida community in federal grant funding. This funding, along with local government and non-profit fundraising helps to ensure that homelessness is a brief and one time experience. Orange County remains the largest public funder of homeless services in Central Florida. “Working to end an experience of homelessness for a person is truly a labor of love. I continue to be amazed at the care and compassion demonstrated by the many organizations within Central Florida and their leaders, along with the kindness of strangers – many of whom volunteered at this event and have experienced homeless themselves. The PIT serves as more than a collection of information, it is a reminder that every person counts and that every person that is homeless deserves our attention and commitment to find a solution,” said Martha Are, executive director for HSN. Results of the 2018 count are expected to be available spring of 2018. The results of a PIT are not precise, yet considered an additional tool when measuring homeless populations within a community. An exact number is nearly impossible. With the population of homeless persons changing daily, counts offer communities a gauge in terms of trends and areas of needs so that resources may be appropriately allocated. Information graphic that captures results from the 2017 Central Florida PIT Count. 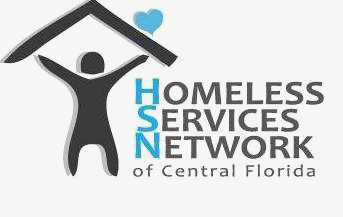 About Homeless Services Network of Central Florida (HSN): Established in 1992 as the lead agency for the Central Florida Continuum of Care, HSN serves Orange, Osceola and Seminole counties, including the cities of Orlando, Kissimmee and Sanford. The nonprofit administers more than 25 grants through sub-recipient agencies that provide services to homeless households in our continuum region. Program funds provide permanent housing and support services, including case management and street outreach. For more information, visit www.centralfloridacoc.org.